(c) because of extreme urgency brought about by unforeseen events that are not attributable to the contracting authority. (d) for purchases on exceptionally advantageous terms due to liquidation of the suppler etc. (b) the new works or services consist of the repetition of similar works or services awarded to the original contractor under an advertised competition, provided that such works or services are in conformity with a basic project for which the original contract was awarded, and, when the basic project was advertised, the extent of possible additional works or services and the conditions under which they will be awarded was made clear (and subject to additional qualifications). In other words, the EU legislators were conscious that permitting direct unadvertised awards could facilitate anti-competitive behaviour and so these exceptions are very tightly drawn. Because they are exceptional grounds, they will be construed narrowly by the courts and the onus will always be on the contracting authority to justify their use. In short, any contracting authority contemplating the use of these procedures should take considerable care, including seeking legal advice, in order to ensure that they are not caught offside in making illegal direct awards. Logic would suggest that a prudent contracting authority, if faced with any doubt on the matter, should err on the side of caution and conduct an orthodox advertised tender process. As explained in my previous post on the Eurotunnel case in the UK, there can be serious consequences in the event that a contracting authority is found to have made an illegal direct award, including the risk of having the contract set aside as ineffective, and/or the award of damages and/or fines. In order to mitigate the risk of ineffectiveness in bona fide cases the EU Remedies Directives make provision for the publication of a Voluntary Ex Ante Transparency Notice which allows for a minimal degree of transparency in direct award situations. In completing the VEAT notice it is critical that the contracting authority gives sufficient information as to the nature and full extent of the contract and its justification for direct award without OJEU advertising, and observe a minimum 14 day standstill period before the contract is awarded. This allows economic operators the opportunity to challenge the decision of the contracting authority and either force the holding of an orthodox competition or, should the contracting authority persist with the award, enable an aggrieved party to seek to have the award set aside in court. The advantage to the contracting authority of the VEAT procedure is that the penalty of mandatory ineffectiveness does not apply in the event of a challenge to a contract awarded after the 14-day standstill period has elapsed. Irish contracting authorities may use the etenders portal to publish VEAT notices in appropriate cases. The significant volume of VEAT notices published annually has given rise to concerns of possible abuse whereby these notices are being “sneaked out” in the hope that interested market operators will not pick up on them or be able to mount a challenge within the very tight limitation period of 14 days (or 10 days in some Member-States). The European Commission in its most recent Report on the Effectiveness of the Remedies Directives does not appear to share that concern, and the use of VEAT notices is barely mentioned in it. Another ground for concern is where a contracting authority fails to set out clearly the true nature and extent of the contract in the VEAT Notice, a factor which recently led the English Court of Appeal to set aside as ineffective a land development contract awarded by an English local authority in the Faraday Developments case because the Court found on the facts that the VEAT notice being relied on to resist Faraday’s claim of ineffectiveness failed to give a properly detailed description of the contract and therefore was not a valid notice that could be relied on to prevent the court making a declaration of ineffectiveness. The European Court of Justice ruling in the Fastweb case C-19/13 (cited in the Faraday case) is also significant in the context of ensuring that direct award decisions are made for bona fide reasons in the limited exceptional circumstances provided for in the Directives. While it is useful for procurement officials to be aware of the existence of the VEAT Notice procedure which may be a legitimate option in appropriate cases, they should also be aware of the risks involved and the need for extreme care in making use of it. Copyright Procurement Research Limited. All rights reserved. Identify the types of savings that will result if your solution is selected. How will the lessons learned benefit the buyer? Is the same delivery team being proposed. Number 1: Put the buyer and his needs at the centre of your bid response document. Explain why your solution is ‘fit for purpose’. Write a bespoke response in the buyer’s language. Do not use generic/brochure material. A fully compliant bid may score 80%. A winning bid scores over 85%. So make the extra effort. If you do not have a fundamental understanding of the buyer’s detailed requirements your chances of winning are low. Assume the tender evaluators know nothing about your company and your solution. Include a list of abbreviations to assist the non-technical readers. The Office of Government Procurement has finally published clear guidance about tendering for goods and services. Here are Ten Key Messages. 1. All tender competitions regardless of their value have to respect the general principles of EU law, including principles set out in the 2014 Procurement Directives. 2. 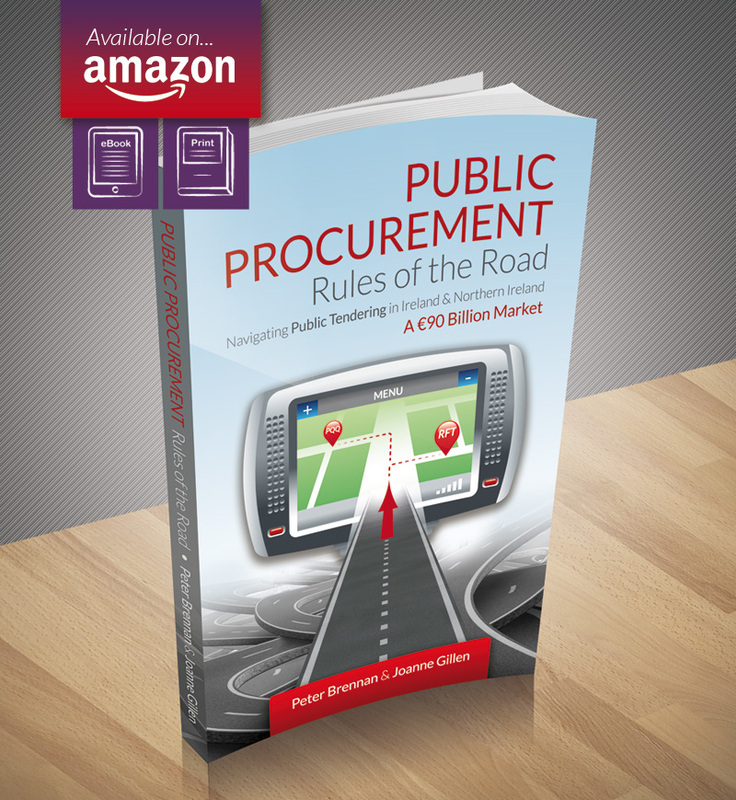 The OGP should be consulted by public buyers before tenders of a value over €25,000 are published. 3. It is the responsibility of public buyers to train staff involved with procurement to ensure tender competitions are compliant. 4. A new suite of template documents and model letters has been issued. 5. Buyers are now required to conduct a risk assessment and market soundings where high value and complex tenders are under consideration. 6. Public buyers are ‘strongly encouraged’ to provide written feedback to unsuccessful bidders. 7. Less formal procedures must be used for contracts below the EU threshold (€135,000). 8. Buyers must justify the decision they take to use a particular procurement procedure (there are seven options available). 9. Stricter reporting and monitoring arrangements now apply, including the preparation of a verifiable Procurement Audit Report. 10. Guidance is provided about the new features of the 2014 Directives, including issues such as dealing with abnormally low tenders, contract changes and using the European Single Procurement Document. Despite the fact that over €90 billion in works, goods and services may be procured over the coming five years, the ‘Must Read’ OGP guidance was barely mentioned by the media. Be prepared! The current two-year framework agreement for business and management consultancy and advisory services ends in Q1/2018. The Office of Government Procurement is conducting market research (deadline to respond is 18th August) prior to re-tendering. It is highly likely that contracts below €25,000 will be excluded from scope; good news for small businesses if this change in policy is applied in other categories. Companies who are short-listed will be asked to engage with the OGP in Q4 by way of a competitive dialogue for the provision by a single supplier of banking services across Government. The volume of transactions is valued at around €140 billion. There are over 110 framework agreements in place so the main area of procurement activity relates to on-going mini-competitions and direct drawdown contracts. Some very significant tenders have been published over the past few days. The National Treasury Management Agency, in conjunction with Apple Sales International and Apple Operations Europe, is seeking expressions of interest for the provision of certain escrow agency and custodian services for a State aid recovery amount of upwards of €15 billion. Parties who express an interest will then be invited to pre-qualify. Providers of mobile voice and data communications and associated products, accessories and services, including SMS text services will be interested in the framework tender issued by the Office of Government Procurement. The value of the business to be procured over four years is €60m. The Department of Jobs, Enterprise and Innovation is looking for expert advisors on dual-use goods. A Request for Information for a fully managed secure narrowband and nationwide digital radio network services has been published by the OGP. The OGP has issued a survey (by way of a Request for Information) to take soundings from the market about public contracts in the areas of business and management consultancy and advisory services. The Irish Centre for Business Excellence has invited tenders for its Learning and Development Training and Business Excellence Skillsnet Programmes. An Post is looking for providers of health and safety training. Finally, the Department of Finance is seeking a provider for a post graduate/professional diploma in tax policy and practice. We would be happy to send you further details on request.